Festive season is round the corner. Frankly, the diversity in India ensures that the festive season never ends. There is always one festival or the other going on all the time. This is one reason festive season deals almost never end on popular retailer websites. However, during the later part of the year, starting August, festivities actually don’t end. You have Rakhi, Janmashthmi, Ganesh Chaturthi, Navratras, Dushhehra, Diwali, Christmas and ending with New Year. If you are lucky, Eid may also fall during the time. And this is not considering several major regional festivals such as Guru Nanak Jayanti. It is the period beginning Navaratras and up to Diwali that these offers really pick up. Navaratras follow Shraadha (period where Hindus pay homage to their ancestors). Shraadha period is considered inauspicious and many refrain from making any big ticket purchases during those weeks. 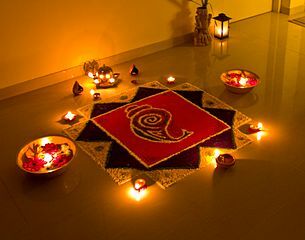 Therefore, there is pent-up demand that carries over to Navratras and Diwali. Secondly, Navratra period is considered a very auspicious time and people prefer to make several big tickets purchases such as electronic items, cars and houses. And whenever there is a big ticket purchase, banks have a role to play. Banks do not want to be left behind and offer many offers or deals on the loans during the Diwali season to attract borrowers. Competition is quite intense. Therefore, the banks offer many innovative offers on the loan products. How Do the Offers Look? Now, the offers may take any shape but will be driven by ground realities. For instance, if we are in a high interest rate regime, then the offer may be in the form of lower fixed rate loan or a lower interest rate for a few years (teaser loan). The banks may push interest-only products (for a few years) so that the EMI burden is lower to begin with. If you are already in a low interest rate regime, the offers may take shape in the form of waiver or discounts of processing or other fees or in the form of some gifts or promise of faster processing. Banks will do whatever they want. However, for you, the numbers should add up. Frankly, you may actually get very good deals. Nothing wrong in lapping those up. However, do the maths before going ahead. Let’s consider a few examples. If a gift of 2 gm gold coin (~Rs 6,000) for loan sanction sounds good to you while the bank happily charges a processing fee of Rs 15,000 + GST for your loan, you are missing the bigger picture. When there is low credit growth and banks are struggling to find good customers, you could have got a much bigger bargain by negotiating on the processing fee. For all you know, you could have got both (2 gram Gold coin along with good discount on processing fee). From the bank’s perspective, they have softened you up by giving a free gold coin. Don’t give in so easily. A gift is not the end of the bargain. And this is not enough. For a long term loan, a discount on interest rate is likely to be a much more beneficial than any gift or fee waiver. For instance, Bank A offers you a waiver of processing fee of Rs 25,000 (including GST) while offering an interest rate of 8.5% p.a. The loan amount is Rs 50 lacs for 10 years. The EMI will be Rs 43,391 per month. Bank B does not give you a waiver on processing fee but offers a loan interest rate of 8.25% p.a. The EMI will be Rs 42,603. Assuming the rates stay the way they are (impractical assumption but play along), the choice is between saving Rs 25,000 upfront or saving Rs 788 every month for 20 years (total saving of Rs 1.89 lacs). Even though the numbers aren’t exactly comparable, saving Rs 788 per month is clearly a better choice. Therefore, regular deal from Bank B is better than festive deal from Bank A. These are the aspects you should watch for and not just go by the cosmetics. The good part with such deals is that if you are comfortable with numbers, you can easily evaluate these deals and make an informed decision. No matter how good a deal you get with a personal loan, the loan is still likely to be quite expensive. Even Zero percent EMI or low interest rate EMI deals can sometimes be tricky. Spreadsheet is your friend to evaluate such deals. You are planning to purchase an iPhone, you get a good discount during the festive season and you decide to purchase the phone. Makes sense. You are planning to purchase an iPhone. You do not get a good discount but get a really good EMI deal (again, don’t just fall for the advertisement). This makes sense. There is no denying that you can get very good loan offers during the festive season and you should be on a lookout. However, you must ensure that you don’t fall for the glitz. Think through the numbers and make an informed choice. A festive offer does not always take away the chances of a further bargain. And remember you still need to repay the loan. Therefore, consider affordability. Feb 09, 2017 How a Loan at 4% Costs You 11%?